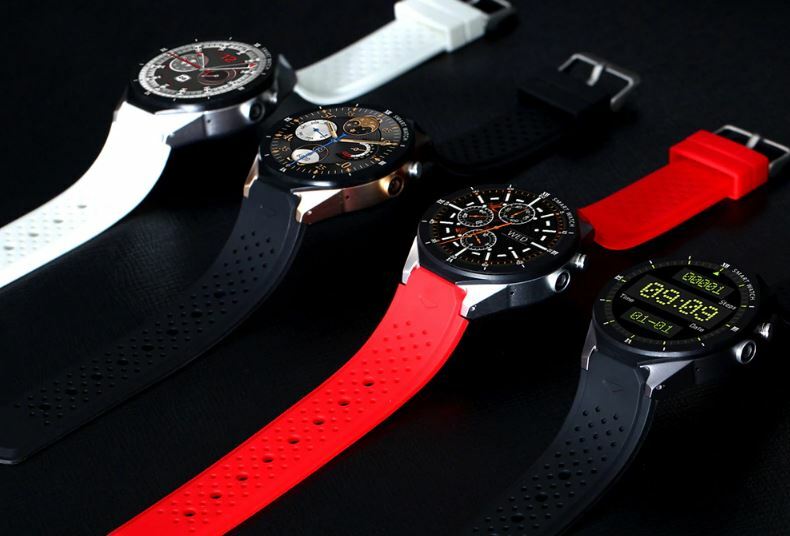 KingWear is not a new name in the smartwatch market. 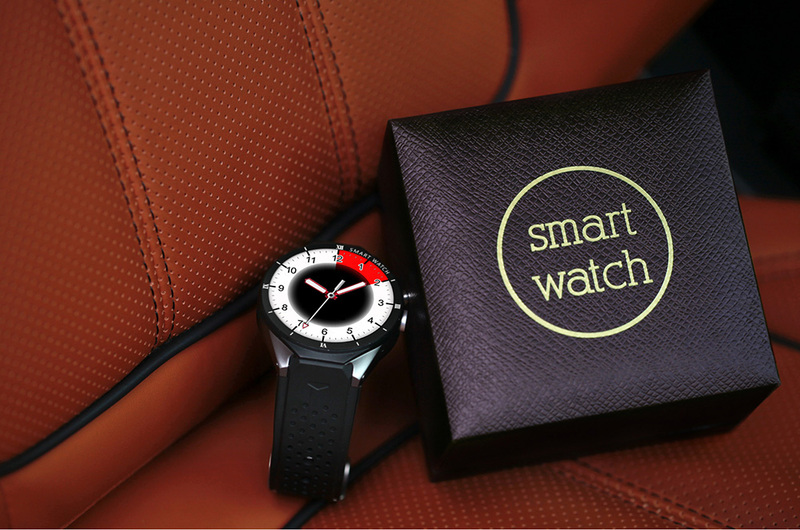 The company has a lot of smartwatches, Standalone smartwatches and almost all of them are very successful. But Now the company is coming up with a new standalone smartwatch. This is a successor model of a previously launched smartwatch. 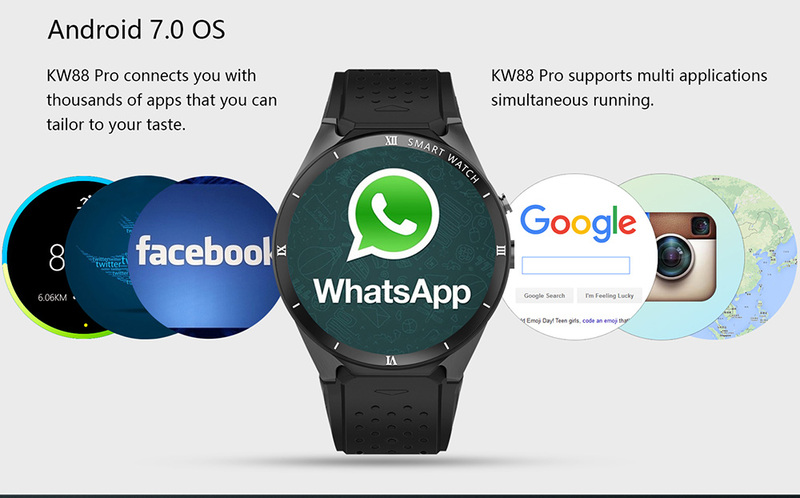 The KingWear KW88 which is a huge success for the company and one of the best standalone smartwatch as well on that time. Now KingWear has launched the Updated version of that as KingWear Kw88 pro. 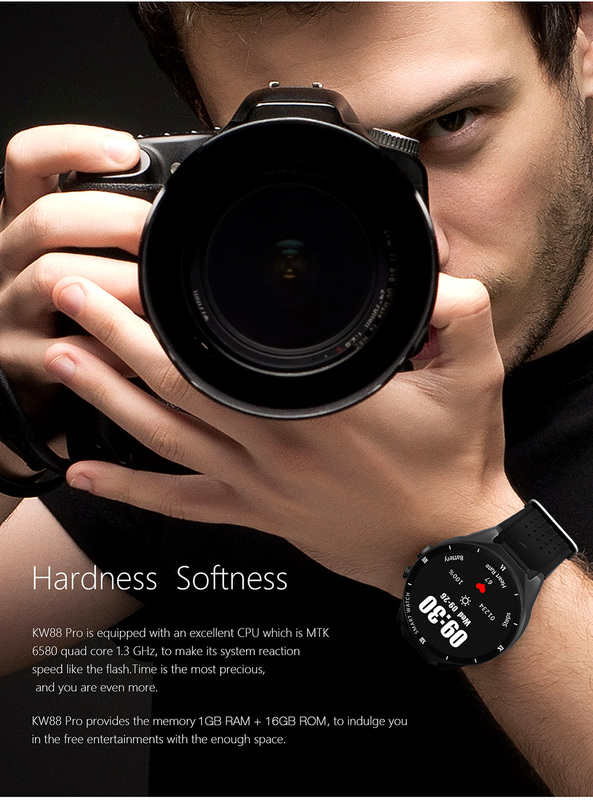 This smartwatch is featured with the latest processor, More RAM, and storage. The Watch is running on the latest Android Operating System and offers a lot of pre-installed apps as well. 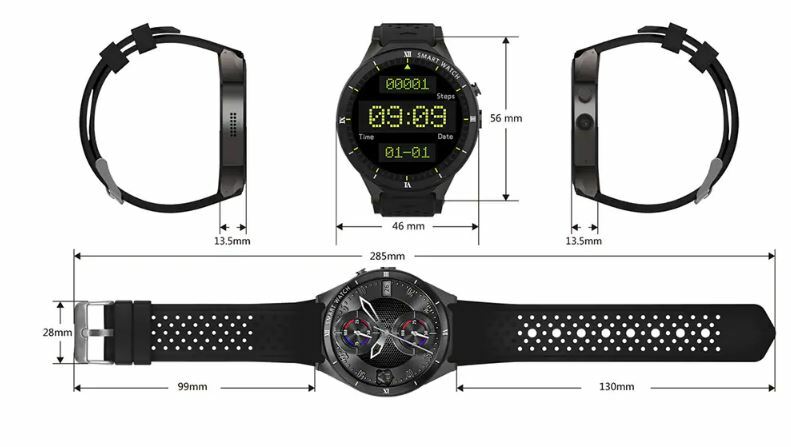 Now you can do a lot of customization into the smartwatch as Watch Faces and easily changeable strap as well. The watch has the 23mm rounded Dail, the 1.39 Inches super AMOLED display is protected with the Spherical crystal Glass. The glass on the display can easily take the lite damage and it is also scratch resistance as well. Over the Bezels, there are 3D numbers are embedded. On the underneath of the right bezel, it has an Aluminum button and a 2.0 MP camera. With the help of the button, you can easily switch between different modes. On the bottom of the watch, you will find a heart rate sensor and nano-SIM slot as well. You can use the watch as a standalone or a normal smartwatch. The watch is able to do all the function in both ways. The strap of the watch is made of high-quality silicon. The strap is totally sweatproof due to its hollow design. This hollow design is for making sure for good air permeability and comfortable wearing. The watch band can be changed with other color or material type but for that, you have to buy them. 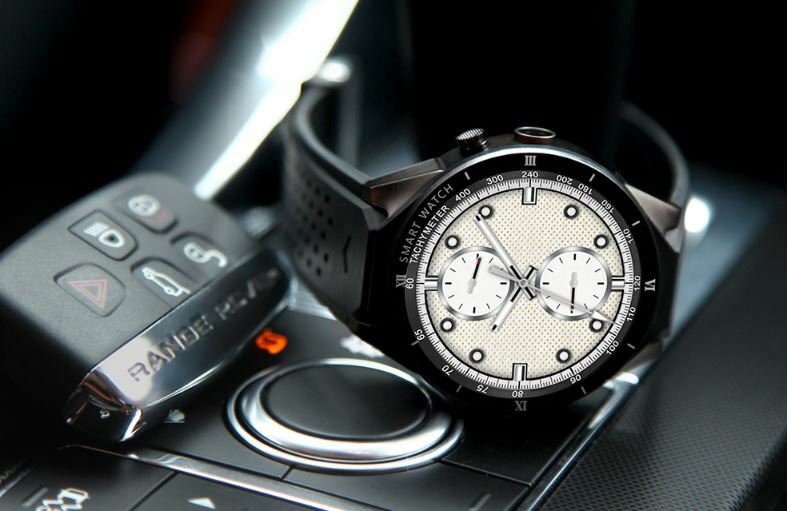 The KingWaer KW88 Pro has the 1.39 Super AMOLED display with the sapphire crystal glass on it. The 1.39″ provides the 400×400 resolution and AMOLED display shows the great color contrast and clear content. The display has a glass on it which protect it from damage and scratches. The display is very much responsive and also touch sensitive. You can easily navigate between apps and functions. Due to its different watch faces, you will never get boarded from it. 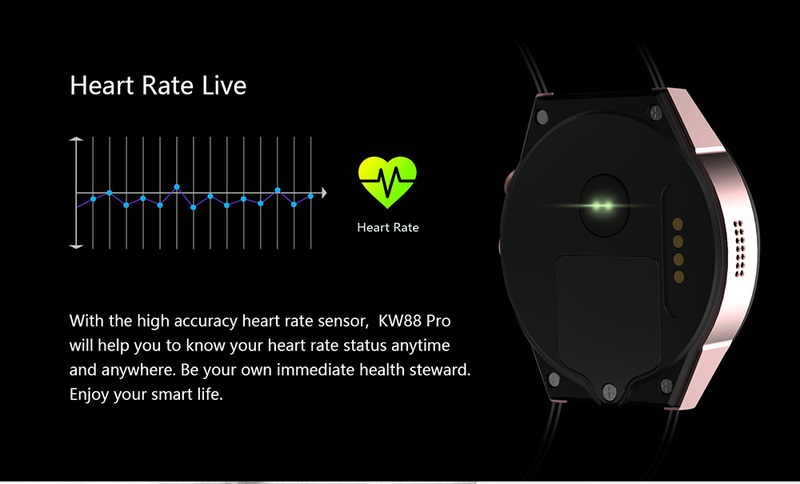 The New KingWear KW88 Pro is running on the MediaTek 6580, 1.3GHz, Quad-Core processor. The multitasking with the processor makes it more easy and smooth as well. The watch comes with a lot of pre-installed apps like Play Store, WhatsApp, Google Maps, Facebook, Chrome and others as well. In fact, if you want to install more app from the play store you can. The watch has the 1GB of RAM and 16GB Of ROM in it. The watch can do all the task of a smartphone. In the memory point of you watch didn’t have new, the KingWear KW88 also had the same memory. The watch is running on the latest Android 7.0 and also featured with the all-stock Google Apps. The operating system is fully optimized and efficient to use. 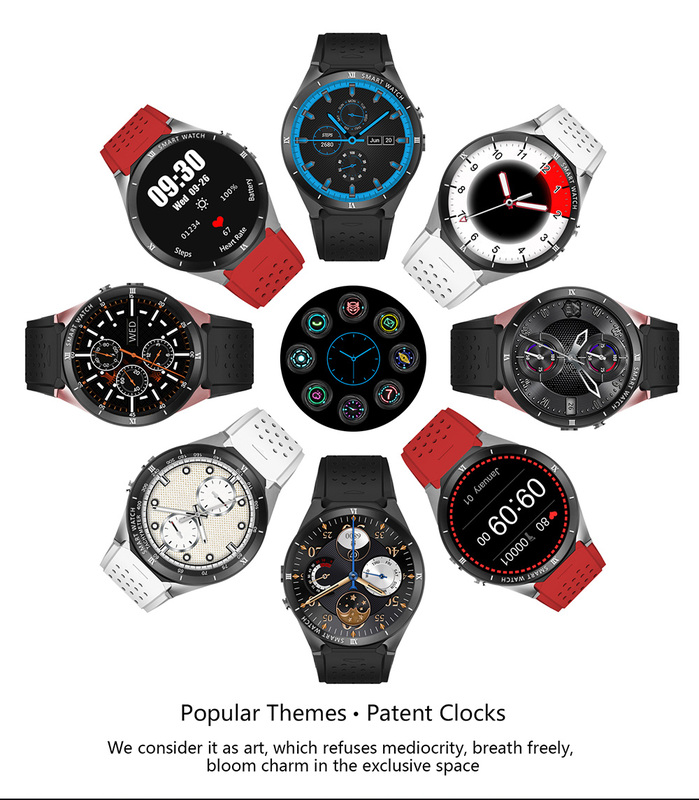 As you know that it is a standalone smartwatch so it has a dedicated SIM slot with 3G connectivity. On the bottom side of the watch has a Nano SIM slot. It needs a screwdriver to open and thankful to the company it comes with the watch. Just open the slot and insert the SIM and you are good to go. 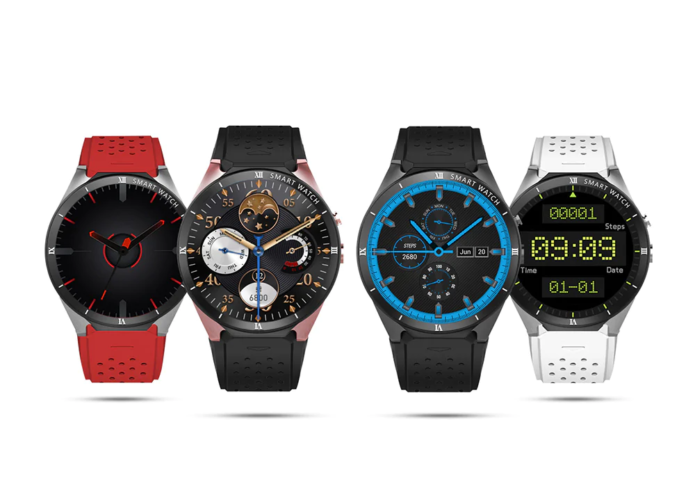 The watch has the 3G connectivity and you can use all of your apps on your wrist. 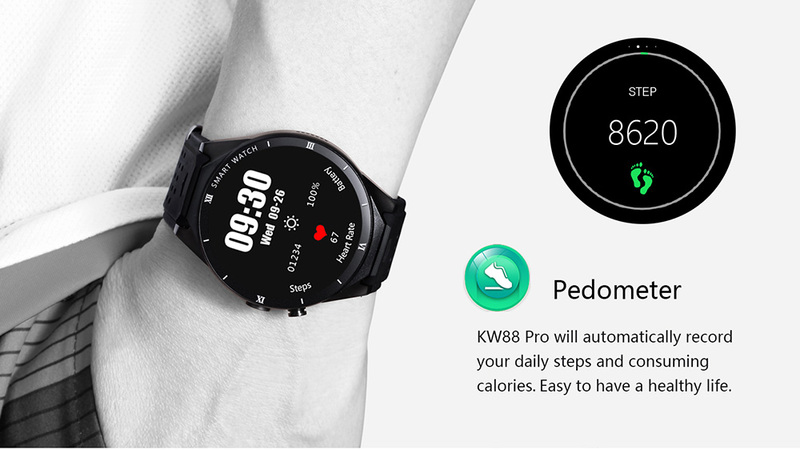 KingWear KW88 Pro is also compatible with the Android and iOS device as well. All you have to do is download the Watch App and connect it with Bluetooth. Now you will receive all the notifications on your wrist. The KingWear KW88 pro has a lot of pre-installed apps in it. Apps like WhatsApp, Facebook, GPS, Remote Control Camera and many others are already in it. They are ready to use. You can also install other apps from the play store which is also pre-install in the watch. The watch has the fitness features as well, the Pedometer and heart rate sensor are always notifying you how many steps and kilometer you have traveled. The heart rate sensor will notify you when it reaches on the critical. Apart from that if you want more fitness apps then it can be downloaded from the Play Store. The watch is easily be paired with the both Android and iPhone. And offers the same features as WhatsApp, Facebook, Email, Call, Alarm, Massage and other apps reminders on your wrist. 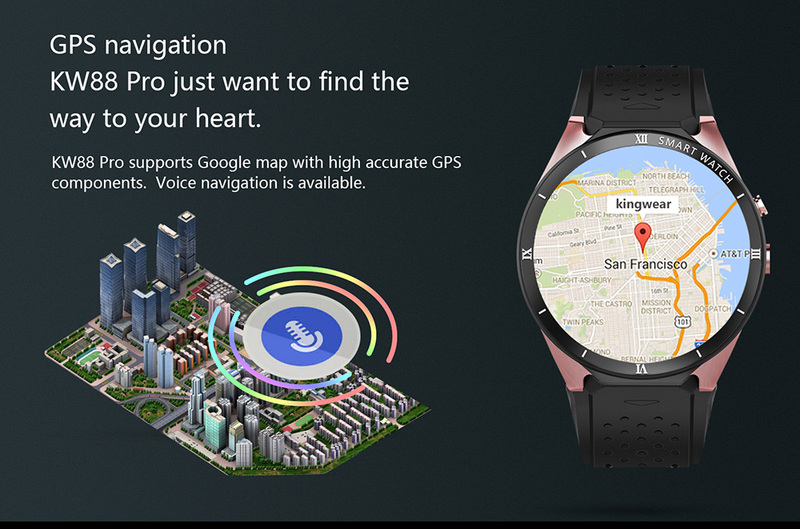 One of the most interesting features of the KingWear KW88 Pro is Google Assistance. Yes, you read write it is featured with the Google Assistance. All you have to Say is “Ok Google” and it is activated in your service. This is a very rare feature you can get on any smartwatch. As you know that it is a standalone watch so it has a 2.0 MP of the camera beside of the aluminum button, place underneath of right side. The camera is able to capture the images and videos, not as good as a smartphone camera. The 350mAh Li-ion Battery provides the backup up to 3 days on normal use. The watch can be charged through your smartphone with the help of OTG cable. Overall battery performance dependent upon the how you use it. If you want to use it as a standalone smartwatch it will last long up to 24 hours. But in the case of a normal smartwatch, it can run up to 3 days. Well looking at the price of $99.99, the watch offers a lot of features. The 3G SIM support is one of the most prominent features of this watch. And also it supports the third-party apps as well. Well, this is the best standalone smartwatch under $100 so far available in the market. If you are considering to buying a new watch then take a look at this one for once.